Rocca Torridoro Primitivo di Manduria D.O.C. This product was added to our catalog on Monday 29 March, 2004. Dieu Donne: Dieu Donne Shiraz �The Dieu Donne Shiraz is excellent and a real gem. A elegant Shiraz with soft spicy, white pepper and new leather aromas, complemented by a cedary toastiness. 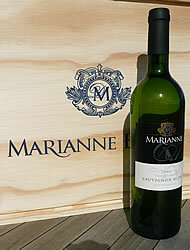 https://www.weinbaule.de/red-wine-south-africa-dieu-donne-shiraz-p-555.html?osCsid=5b7ed94ace1bf547fd1d1262fefccd34"> Wine 16.99 6003040001079 WeinBaule.de | The Home of Wine Dieu Donne New In stock!